THIS ESSENTIAL, CAREFULLY organized book tracks Adrienne Rich’s work from 1971 to 2012, the year of her death. The selections were chosen by Rich herself. The journey from the opening poems to the ghostly and unpublished testaments of her final years is therefore authoritatively mapped. It has been a remarkable journey. 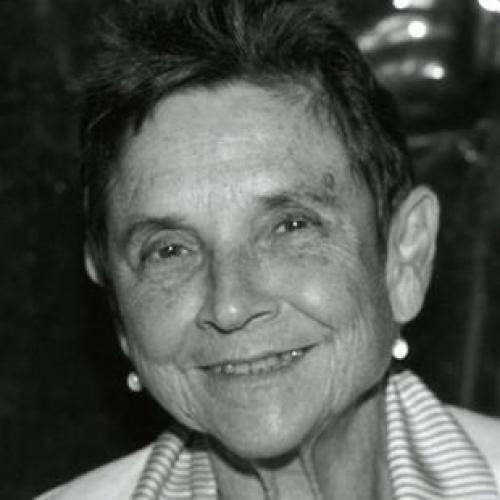 Adrienne Rich began writing in a strange, charged poetic moment. Her first book, A Change of World, was published in 1951. She was twenty-two years old. In that era of American empire and postwar anxiety, there was still an exclusivity, a prescribed decorum, about the poet’s identity. A poet who was daring or dissident—and Rich would prove to be both—might well end up like the brother in the Icelandic fable, who confronts another brother and demands his share of the kingdom. Here is your share, says the older sibling: here is six feet of the kingdom. The American poem was not in a grave at that time; not by any measure. There was achievement, experiment, excitement. But there was also confinement. It could be felt in the air, in an ethos of conditional acceptance. A young woman poet was not yet a familiar sight. When Auden remarked about Rich’s poems, after choosing her as a Yale Younger Poet, that they were “neatly and modestly dressed,” it sounded more like a counsel for the nursery than acclaim for a new writer. Reading through this book, some things immediately strike home. Most of all the remarkable consistency of craft—an underappreciated element of Rich’s work. For so many years Rich has been typecast as a poet of statement, anger, witness. And all of those modes have their place. But the meticulous artistry of poems such as “Diving into the Wreck” or “Power” deserves a closer look. The most powerful poems here—and they are scattered right through the book—establish a psychic horizon in which the tone manages to be both conversational and oracular; in which the reader can feel solitary and communal at the same time. There may have been, for the apprentice Rich, a shadow of Lowell in this practice; there may also have been a light from Yeats. But the deliberate structure of a Rich poem, gliding between private awareness and public oratory, often in the space of a few lines, is entirely hers. This has never been a comfortable or fashionable view. And what is the reader to make of it now, looking through these later poems? How to interpret this stance which, while often admired, has just as often been called polemical or ideological or just plain didactic? Those are not always terms of praise in the current view of poetry. But now more than ever, seeing the reach and the constancy of this work, those terms themselves seem out of touch, or at the very least inaccurate. So is there another way to describe Rich’s chosen stance, one that places it clearly within the continuum of American poetry, of world poetry—although, granted, these are not locations she sought out—and defines her achievement according to her intentions, rather than despite them? That clarifies her luminous influence on the history of the poem? I think there is. To do so, a backward glance is necessary. Rich began to write when poetry itself was shifting its definitions: modernism had prevailed, but at a cost. The poet was a decisive figure, but in a shrinking world. In a later stage of modernism, the popular reader was disdained. The contemporary poet was warned away—like a child, told not to talk to strangers—from the exuberant past where a couplet caught fire or a quatrain was repeated in a room at twilight. Or a poem was recited late at night, all its refrains known to everyone in the room. Above all, the public poem—that glowing centuries-old instrument of passion and protest—was relegated to the shadows. Not, to be clear, the political poem: it continued to be written with gusto even after modernism. What languished was the public poem, and especially the old fusion of the public poem and political poem. What Rich drew out of the shadows, and put into practice, was that deeply democratic, beautifully mixed alloy practiced by Whitman, and loved by the early Yeats, but frowned on by a later anti-populist mood. In her time, quite simply, she re-united the public poem with the political one. It is an enormous achievement. I cannot believe any serious reader of contemporary poetry would want to be without this book. W.W. Norton—and Rich’s devoted editor Jill Bialosky, herself a poet—has brought out a text that is perfectly set up for the new reader as well as the old; for the classroom as well as the critic. And perhaps most of all, for that midnight reader in all of us who simply wants to hear an essential voice again. Above all, this volume provides the witness of a great and unswerving poet who found an art and practiced it and left it more open, more generous, and more available than she found it. Eavan Boland is the director of the creative writing program at Stanford and the author of A Journey with Two Maps: Becoming a Woman Poet.